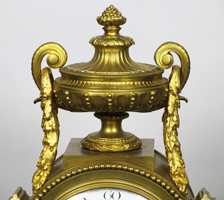 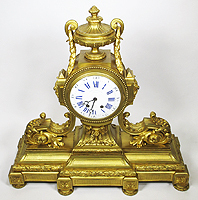 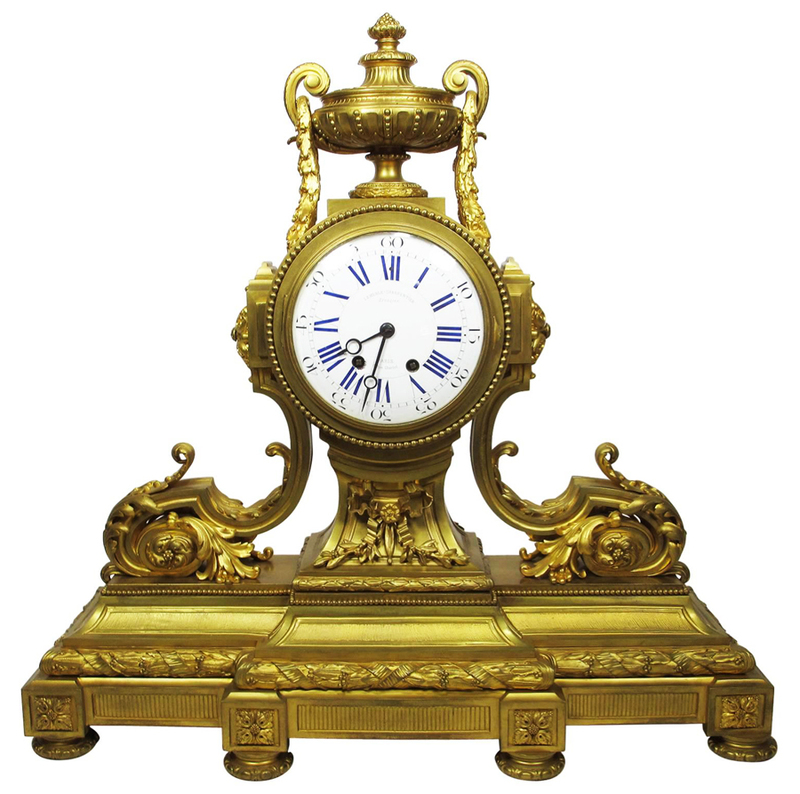 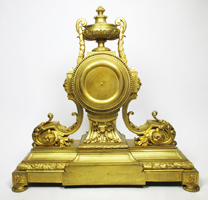 A Palatial French 19th Century Louis XVI Style Gilt-Bronze Mantel Clock by Lemerle-Charpentier Bronzier. 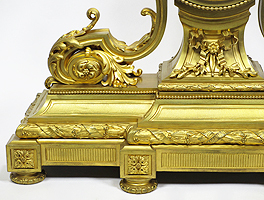 The large rectangular gilt bronze body surmounted with floral scrolls and acanthus and crowned with an urn with wreath decorations. 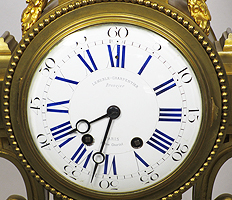 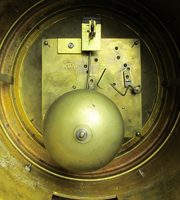 The circular porcelain enameled clock dial with Roman and Arabic numerals, signed "Lemerle-Charpentier Bronzier, 8, Rue Charlot, a Paris." 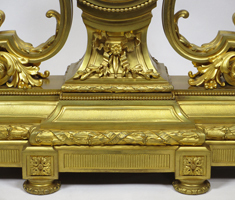 All above a floral bow with a banded molded trim and raised on six token-style feed. Circa: Paris, 1880.